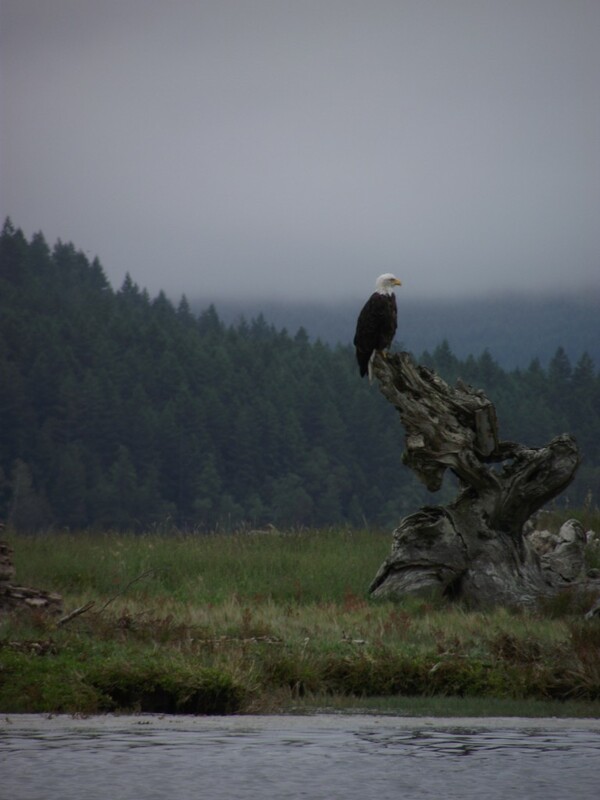 Throughout the months of May and June, Hood Canal Adventures offers a 2 hour American Bald Eagle Tour! Our Spring low tides uncover the bounty of the sea, and the sculpin spawning season serves up easy pickings for Bald Eagles. Bald Eagles from around the Puget Sound flock to the shores of the Hood Canal during this time. It is not uncommon to see 40 to 60 Bald Eagles on the beach and perched in overhanging trees, and some days we’ve seen over 100! Watch and learn about Bald Eagles with our Biologist and Naturalists and be sure to bring your camera for some rare up-close photos of eagles in their natural environment! There is a two person minimum to book this tour on weekends.